History of Migrant Family Detentions Pt. 1 – Engage! 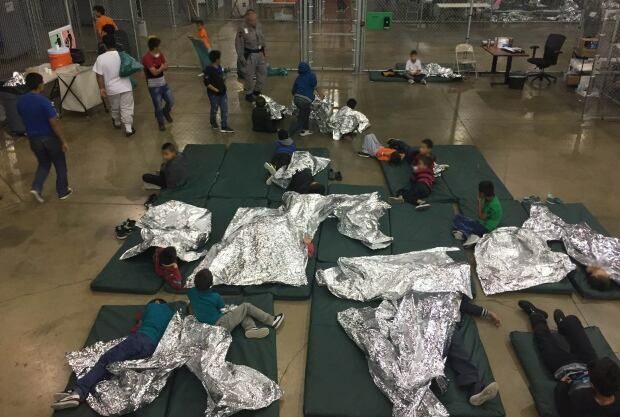 I’m posting two articles that explain how a web of immigration laws, policies and practices that go back decades set the stage for the Trump administration to take children away from migrant families at the border and detain them in cages. And yes, it involves both Democrats and Republicans, beginning with Bill Clinton, who signed the ‘expedited removal’ law that requires summary deportations for ‘illegal’ immigrants; George W. Bush, who instituted the ICE force and ‘family detention’ at the border, and Barak Obama, the first President to detain women with their children for expedited deportation at the southern border. Trump is the first President to detain women without their children, and place children in separate prison camps. The first article by Jonathon Gatehouse from Canada’s CBC news program The National, is a brief rundown of how this policy evolved. The second article, published in Current Affairs, is by an immigration lawyer who provides a detailed history of how these inhumane policies evolved under each President, and what Trump is doing to immigrant families today that takes US immigration policy to extreme levels of brutality. The Trump administration has separated more than 2,000 children from their families since instituting a “zero tolerance” crackdown on those seeking to enter the United States illegally. But the roots of the crisis — which has seen the White House pilloried in the press, and denounced by a former first lady as well the United Nations high commissioner for human rights — go back decades. The last time Republicans and Democrats actually managed to join together to tackle the country’s broken immigration system — and the millions of undocumented immigrants who live and work in the U.S. — was in November 1986. But the compromise, which involved an amnesty for many of those who had already arrived, coupled with penalties meant to dissuade others from following in their footsteps, never worked. At the time, it was estimated that there were around 3 million so-called “illegals” on American soil. Now, it’s closer to 12 million. And the U.S, which didn’t even have immigration detention centres until 1984, now has 637 of them. More than half are privately run, for-profit facilities. During his campaign, Trump infamously vowed to send all illegal immigrants back to where they came from — essentially promising to oversee the largest forced migration in history. But it’s long been clear that America can’t deport its way out of its problem. In fact, deportations peaked under Bill Clinton’s administration, averaging around 1.5 million per year, and have been declining ever since. Barack Obama oversaw a total of 5.3 million forced removals, about half of George W. Bush’s number. And so far, President Trump has deported fewer people than his predecessor. 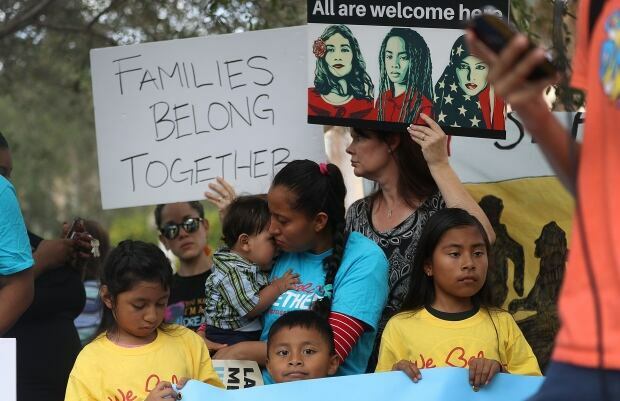 However, “administrative arrests,” as immigration jailings are known, are up under Trump and have been increasing rapidly since the zero-tolerance policy was instituted in mid-April. There is nothing in U.S. law that requires immigration authorities to jail mothers and children if they are caught trying to enter the country illegally. But Trump didn’t invent the practice, he inherited it from Barack Obama. The former president vastly expanded such detentions during a surge of illegal migration in his second term, as people fled violence and poverty in Central America. Obama hoped it would act as a deterrent, but it failed. By the 2014-15 fiscal year, there were 60,000 immigrant kids who’d passed through government-contracted secure facilities. The idea of actually separating parents from their children first surfaced in March 2017. It was then-Homeland Security Secretary John Kelly — now Trump’s chief of staff — who floated the notion as a way to stop to illegal immigration. “I would do almost anything to deter the people from Central America to getting on this very, very dangerous network that brings them up through Mexico into the United States,” he said during an appearance on CNN. There were more than 50,000 arrests made along the southern U.S. border last month, a slight increase from April, but more than twice the number detained in May 2017. And about 25 per cent of the arrests involved families travelling with children.